Functional Design Definition: a knowledge content tool representing the trend to move from geometrical descriptions to capturing knowledge. Designers use functional design to analyze the function of their products and the design problems they are trying to solve, rather than spending time on the modeling operations necessary to create 3D representations. Functional design is not only a set of functions; it supports design by function and adds mechanical content and intelligence. Using functional design, you can create mechanically correct components automatically by entering simple or complex mechanical attributes. Design Accelerator Definition: an important component of Functional Design providing engineering calculation and decision support to identify standard components or create standards-based geometry. The Design Accelerator commands simplify the design process. They automate the selections and geometry creation, improve initial design quality by validating against design requirements, and increase standardization by selecting the same components for the same tasks. Design Accelerator provides a set of generators and calculators that can create mechanically correct components automatically by entering simple or detailed mechanical attributes. For example, use the bolted connection generator to insert a bolted connection at once by offering to select the right parts, select holes, and assemble components together. To insert components using Design Accelerator generators and calculators, work within the assembly or weldment environment. On the ribbon, click the Design tab. The available generators and calculators commands are displayed. Generators and calculators are grouped according to functional areas, for example, all welds are grouped. The O-Ring Generator inserts an o-ring in a groove. O-Ring Component Generator creates seals and grooves on cylinders and flat surfaces (axial seals). It is not possible to insert o-rings on non-circular cylinders or custom groove paths for axial seals. 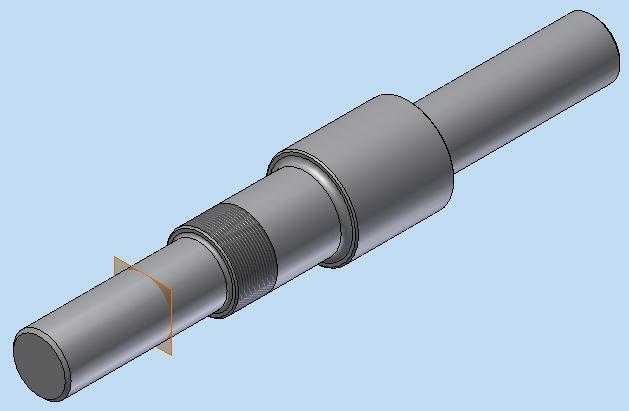 If you insert seals on cylindrical surfaces, precise diameters are required for the rod and the bore. You must create the cylindrical surfaces before you use the O-Ring Generator. O-rings are available in several materials and cross-sections. Only circular cross-section o-rings are supported. You cannot add materials to the existing o-rings in Content Center. Two types of o-ring seal geometry are supported: radial and axial. 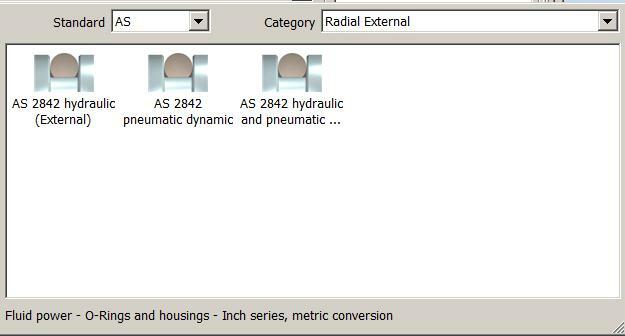 Radial seals are located between two cylindrical surfaces. There is a groove in one of the surfaces to contain the o-ring. The other surface has the appropriate diameter so the o-ring is properly compressed. Axial seals are on flat surfaces. The circular o-ring groove is cut into the housing or the cover plate. The diameter of the groove depends on whether it is exposed to internal or external pressure. When you start the O-Ring Generator you can immediately select either a cylindrical or a flat surface. Once that surface is selected, the dialog box updates appropriately. 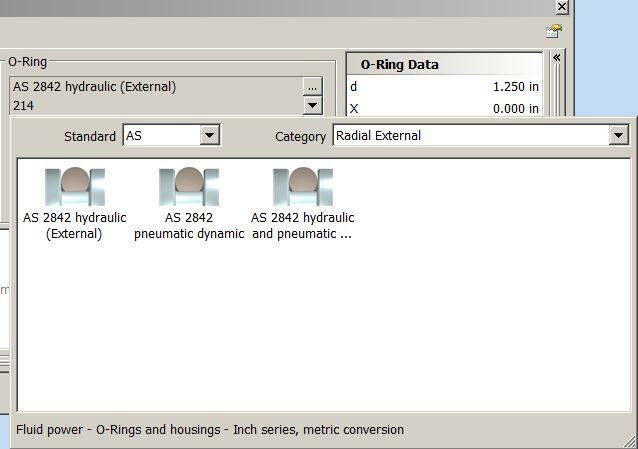 You can specify the type of o-ring in the dialog box before you select geometry. 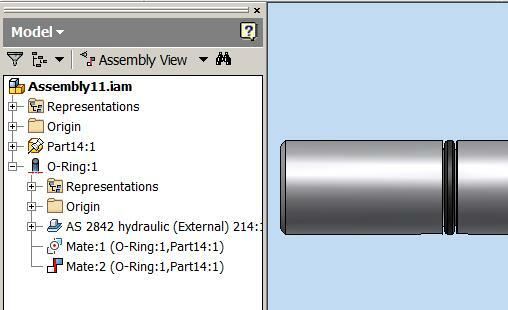 Once an o-ring type is selected, only the specified surface type can be selected. So, it is not important what you specify first – the o-ring placement, or the o-ring type. You have a cylindrical rod in a bore. 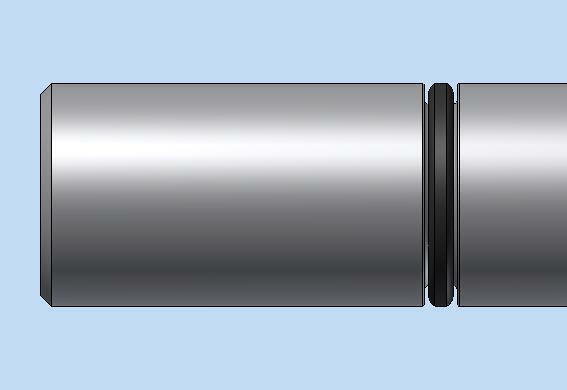 An o-ring groove is placed on either the rod or the bore. To seal properly, both the rod and the bore require certain diameters. Reference edge (circle or arc), or perpendicular face, or perpendicular work plane to locate groove. A flip command changes the direction. 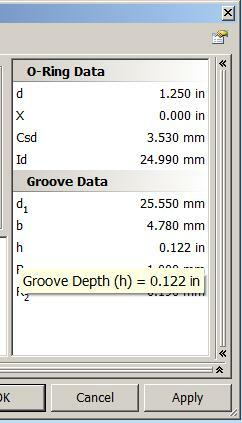 Distance from reference edge to groove. O-ring family. The families are filtered for appropriate diameter. If no matching families are found, a message displays in the browse window. If you update radial seals with a change to the diameter of the rod or bore, the o-ring sub-assembly is marked sick in the browser. 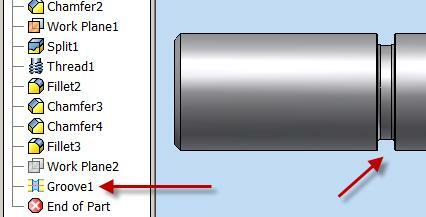 A tooltip prompts you to edit the o-ring and select the proper size. The housing has a flat face with a cover. The cover is sealed to prevent fluids from either leaking out of or into the housing. The face for the groove. The location of the center of the groove. O-ring family. The pressure direction. Depending on whether the seal is exposed to external or internal pressure, the diameter of the groove is based on the inside or outside diameter of the seal. O-ring selection. 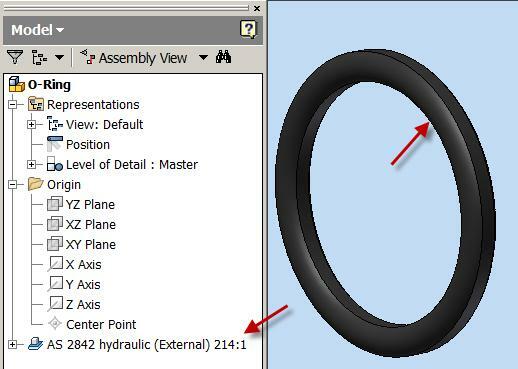 There is no predictable way to filter o-rings based on model geometry. 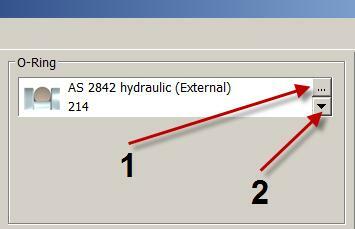 Manually select an o-ring family and member. O-ring grooves (also known as glands) have specific details and dimensions. They are critical to the success of the o-ring as a seal. The O-Ring Generator gets seal data from Content Center. 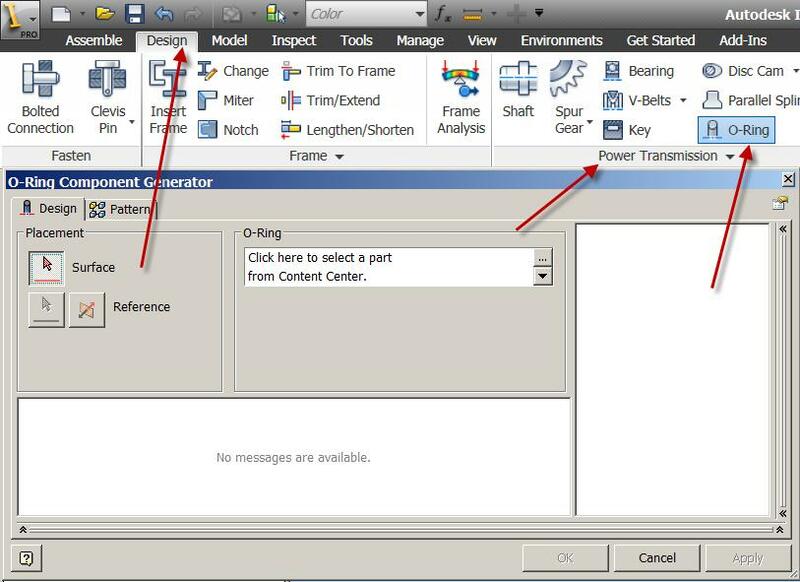 Note: You must be connected to Content Center server and Content Center must be configured on your computers to insert components with the O-Ring Generator. Let’s take a look at the following shaft example that requires an O-Ring and Groove Place 2.250“ at the end of the shaft as shown. A work plane was created in the part model 2.250” from the end of the Shaft! The shaft was placed into an assembly file and saved. By clicking on the icon with the 3 Dots (#1), the designer will be able to browse thru all the seals and see the dimensions on the gland and also the O-Ring. Choices are: Pattern Axially, or no pattern at all. 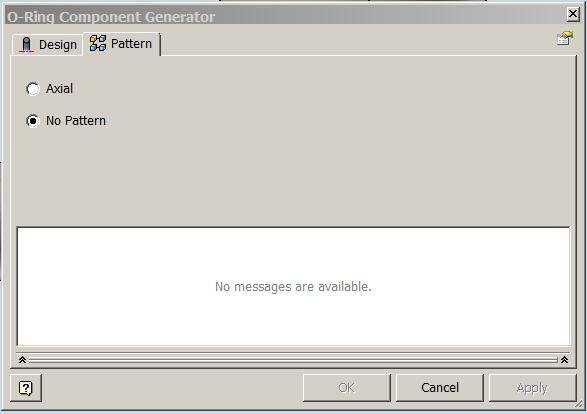 Note: No pattern is checked by default. That’s about all it is. I mean, we can make more out of it of course, and those are the basics. Contact us and I would be happy to spend some time with your team to help you save time and money. 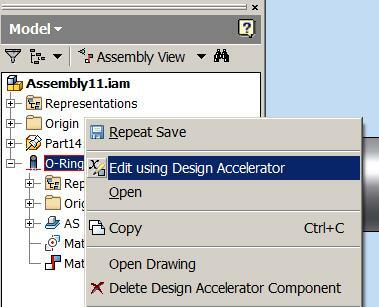 Pingback: How To: Inventor 2013 Functional Design: Design Accelerators (“O” – Ring Generator) « Digital Pictures, Inc.